Bellssimo hooded scarf is a really interesting twist on a standard scarf. 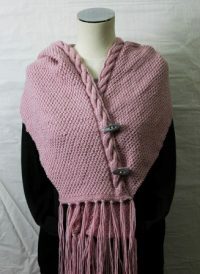 It can be worn buttoned up in a poncho style or open as a scarf. 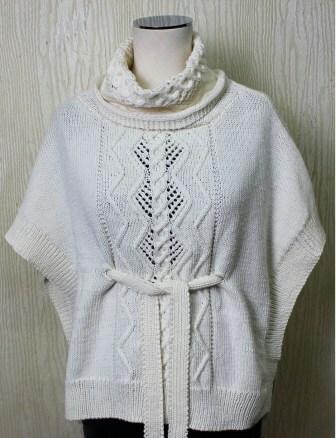 Worn hood-on or hood-off, either way it’s a great look. 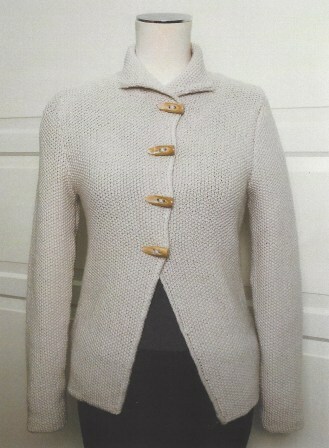 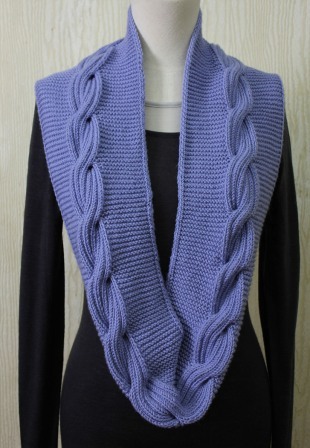 The moss and cable stitching in this garment makes it one for intermediate knitters.